My father, Axel von Schulmann, was a prisoner in British POW Camp 2226 which was located in Zedelgem near Brugge and Ostend in Belgium. Given my father's Baltic background, it is of interest to note that the neighbouring camp 2227 in Zedelgem was for Latvians. 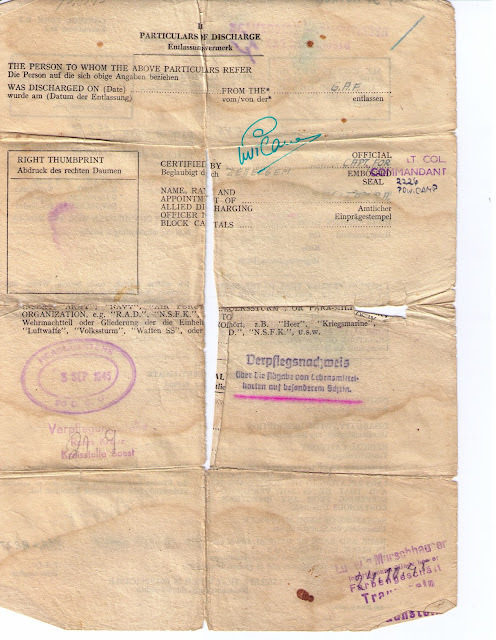 My father arrived there sometime early in 1945 after having captured late in the Ardennes Offensive. 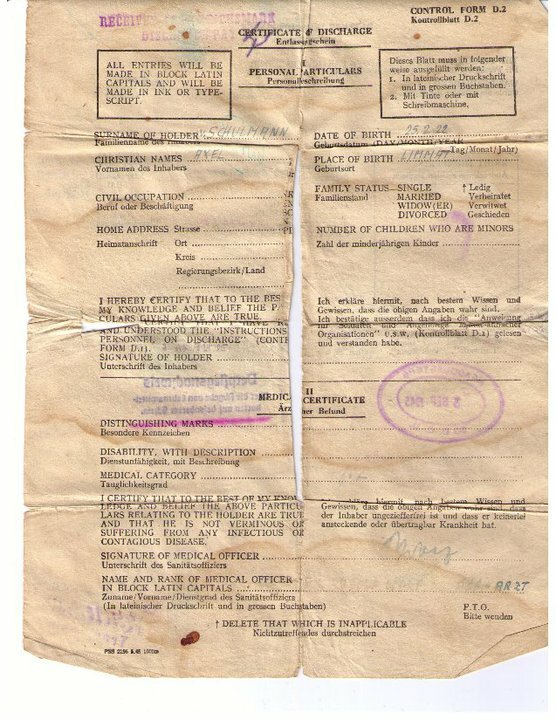 He was in the camp until September 3rd 1945. He was had the number A 476444 but I have no idea if this was his number from the German military or one assigned to him in the camp. He arrived in the camp around his 23rd birthday with no knowledge what had happened to his family. At about the same time his father August von Schulmann was shot and dumped in a mass grave just east of the pre-war German/Polish border. Camp 2226 seems to have held close to 20,000 German POWs of which 1/4 were officers and a number very senior naval officers. Camp 2226 was guarded by the 19th Fuselier Battalion, which was created in February 1945 from Dutch speaking Belgians. My father spoke about two of guards in the unit that happened to Jewish - Weiss and Gruen if I remember correctly. One was pleasant and the other was not. Conditions of the camp became worse after the end of the war, the amount and quality of rations dropped. My father did well with food because he played cards well. Since food was really all they had to bet with my father ended up with more than his fair share of rations. My father also benefited from working on the administration staff of the camp starting on May 1st 1945. 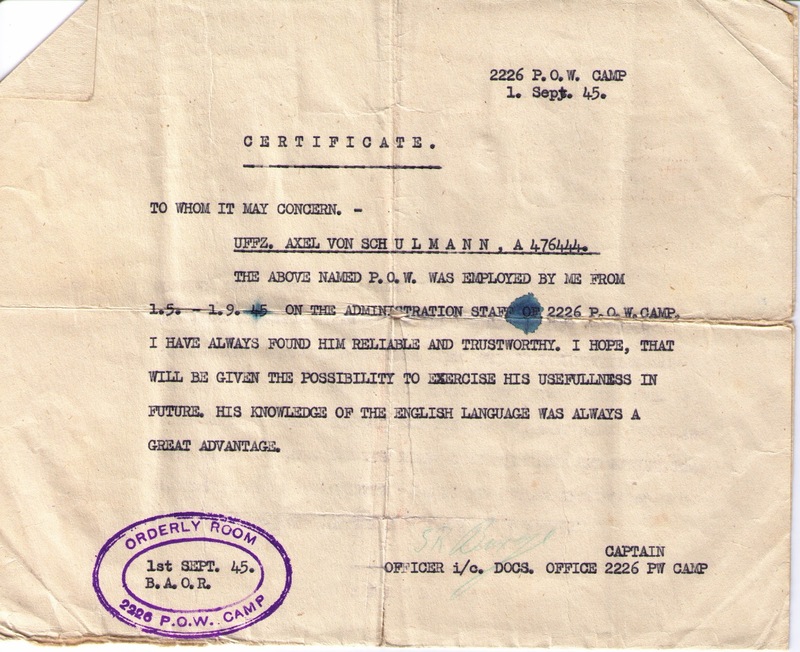 He worked for a Captain but I can not make out the name on the paper, best I can get is S.R. Berge(?). My father's knowledge of English allowed him to get the work in the documents office of POW Camp 2226.. In general his knowledge of English benefited him several times between 1945 and 1952, when he arrived in Quebec City he had his first job in Canada before he even left the ship. Why did my father know English? It comes from his high school in Estonia. At age 16 he was fluent in German and English and spoke decent Estonian. Even though his education was in a German school, it was not the same as what was learned in Germany. He graduated in 1938 from the Pernauer Deutsche Realgymnasium. Remember, this was a school without any ideological leanings and no mass purging of teachers. My father was released relatively early because he was a of a low rank and had a place to go to. The family had an central address to contact each other at. I suspect the fact he worked well with the Camp staff helped gain him an early release. 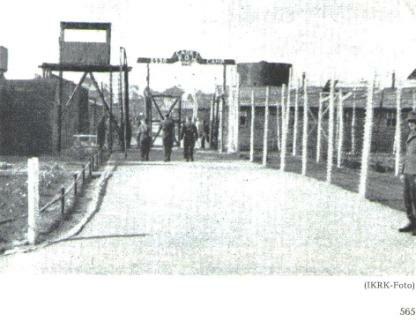 Others remained in British camps for several years. 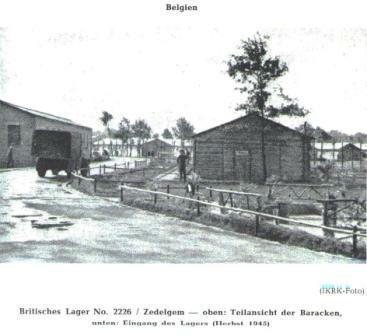 My Grandfather was in camp 2227 in Zedelgem. I had an opportunity to visit the camp a few years ago. Here is the link to some photos i took. 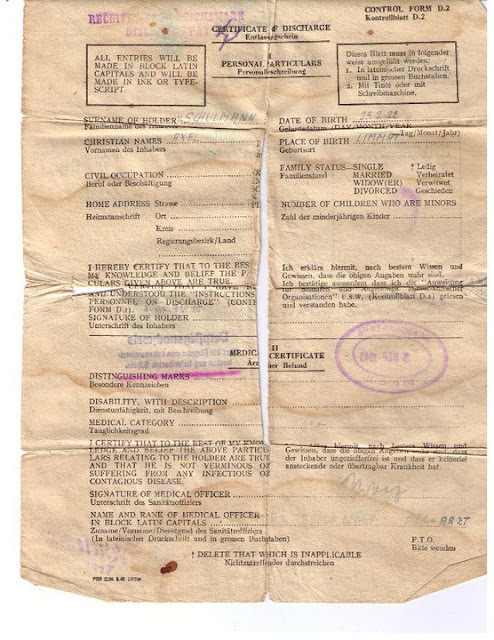 My grandfather was Estonian, he immigrated to Australia in 1950. Thank you very much for sharing the pictures - very interesting. Interesting that he was released on September 3rd as well, I wonder if a large number of POWs were released on the same day? My father told me a bit about life in the camp. He said they got less food after Germany surrendered. He seemed to be enjoy working in the office for the British and got on with them well enough. The biggest thing for him was that there was not enough to do. He was getting bored. if you want to know more about the history of this POW camp, please take contact with the community of zedelgem in Belgium. Ask for MR. POL DENYS who has a magnificent archive on the history of the camp.